In 1993, Gabriel Ripoll, Jr. established Tabaqueria de Filipinas, a company born of his passion for cigars, and his over 40 years experience in the Philippine cigar industry. Tabaqueria de Filipinas began as a 5-roller operation located on the first level and garage of a rented pre-war home in old Manila. Today, it is a company of over 200 employees housed in a new factory in San Pedro, Laguna. Though now located in a bigger space, Tabaqueria continues to hand-craft Philippine cigars in the traditional way. Gabriel’s sons Tirso and Roman have also joined the company as Production and Sales Manager respectively. Their dedicated hands-on approach to the family business ensures that despite the rapid growth of operations, the Ripoll standards of high quality Philippine cigars and personalized service are maintained. 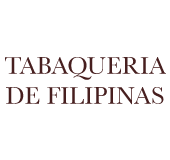 Tabaqueria cigars are produced under the watchful eye and loving care of everyone involved in the process—from the farmers who grow the seeds in Northern Luzon to the expert cigar rollers at the San Pedro factory. When they are ready, each Tabaqueria de Filipinas cigar is carefully packed in beautifully handcrafted boxes and humidors, ready to be shipped to aficionados around the world.